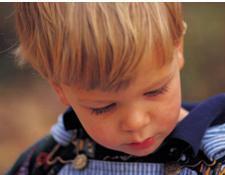 Download a free checklist with signs of autism in toddlers and learn about the best treatment. Learning about this increasingly common disorder can be the difference between a child with severe delays and one with only mild symptoms. Most parents are reluctant to admit their child’s behavior might indicate a problem, even with severe delays in toddler speech development. However, when it comes to identifying signs of autism in infants or toddlers the earlier you know, the better chance a child has at recovery. I think one of the key signs in toddlers is a child’s disinterest in playing with others. There appears to be a total lack of desire to socialize and playing alone is the norm. Sometimes this can get confused with parallel play in children 2 and under, but even typical one year olds will attempt to interact with other kids at some point in time. It’s also important to know the behavioral signs for “look alike” disorders, such as sensory processing disorder or other pervasive developmental disorders (PDD-NOS). • Stereotypical behavior including; hand flapping, rocking, spinning in circles, staring at fans or lights, finger flicking, and/or fascinated with spinning objects. Regardless of whether your child may or may not have characteristics for autism, early intervention services are available to provide treatment for symptoms. This may include working with a developmental therapist, recieving ABA autism therapy or getting help from a trained child behaviorist. If it appears that certain foods may be triggering symptoms, then going on a special diet may also be utilized. The gluten free casein free diet is most commonly seen among children with autistic disorder. You can read about more treatments by clicking the link above. 1. Autism Symptoms and Early Signs. www.helpguide.org. 10-15-10.